Contact Indagare to arrange a trip to Tuscany. 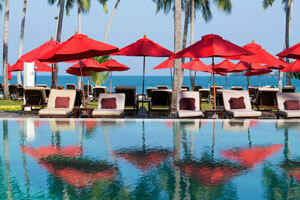 Our dedicated Trip Designers can help you arrange accommodations, activities, meals and flights. About a year ago, before a cruise that left from Rome, we spent a few blissful days at Castelfalfi, a ten-year-old resort developed in and around an 800-year-old village located between Florence and Pisa. This 2700-acre property has the majestic beauty that Tuscany is known for, with a full slate of resort activities and a variety of classes scheduled throughout the year. 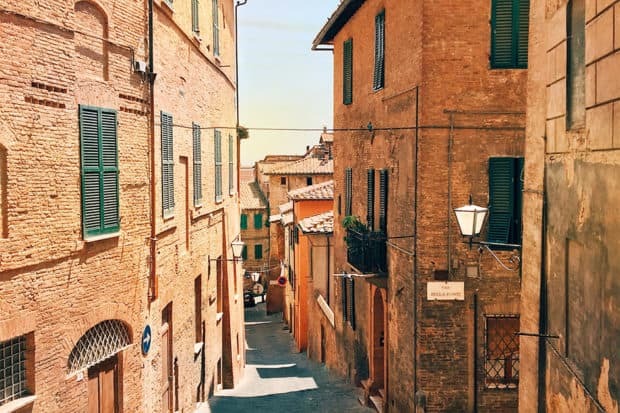 In addition to casual and fine dining (Ristorante la Rocca is in a restored Medici castle), temptations include a spa, horseback riding, biking, tennis on clay courts and a vast game preserve for hunting or touring. 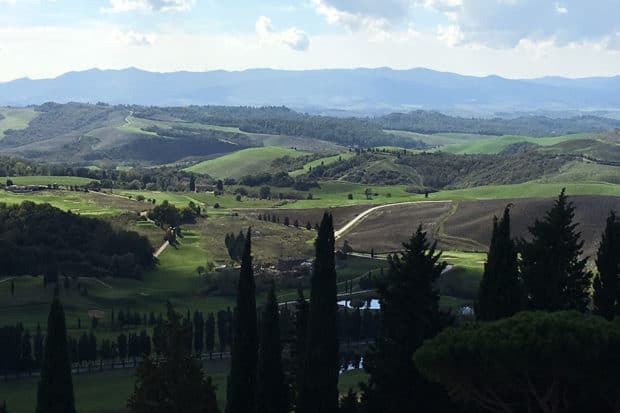 The largest golf course in Tuscany is here, with 27 holes (18-hole mountain and 9-hole lake courses) and a driving range that also has spectacular views. My husband, a lifelong golfer, found it challenging, in the best possible way. The distracting views might have been the cause. I keep coming back to the view, undeniably one of Castelfalfi’s star attractions. As I approached a terrace that surrounds the castle, about 800 feet above sea level, my thought was that heaven could not be more beautiful than this. My husband and I took a private cooking lesson from Michelin-starred chef Michele Rinaldi. The resort offers group or private classes, with family-style or gourmet menus. We learned to make a hearty tomato soup, risotto, Tuscan steak with rosemary and tiramisu. Watching the chef and having him guide us through each step left a lasting impression. That menu became one of our go-to meals for company. During my stay, I often wandered around the little village, which had been abandoned in the 1960s. It was reborn along with its surroundings in 2007, with a 250-million-Euro initial investment from TUI, a travel and tourism group based in Germany. They employed a couple hundred skilled Italian craftspeople to ensure that the restoration was authentic. The village has come alive with a dozen shops that sell local wine, produce and, of course, gelato. The resort has substantial vineyards and olive groves, and produces three wines, an olive oil, honey and spelt. All are featured in the resort restaurants. The shopkeepers were warm and friendly, and forgiving when I practiced my mediocre Italian as I made my purchases. Our room in their four-star hotel, La Tabaccaia, was charmingly rustic in looks, calm in ambience and four-star in style and comfort. Opened in 2013, it is a restored tobacco factory as the name suggests. 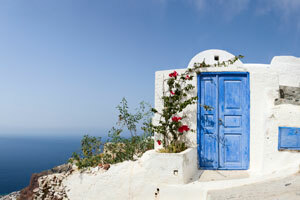 There are a few villas (some are restored farmhouses) and apartments available for rent or purchase (tempting!). While we were there, they were building a 120-room five-star hotel, Il Castelfalfi, that is now open. This is the first hotel built in Tuscany in 25 years. It has an 11,000-square-foot spa, a Mediterranean restaurant, meetings space and a pool. A helipad is planned, as are a new golf pro shop and larger clubhouse. This resort has its charms in every season, but perhaps one of the most unusual experiences would be had during harvest season. Be in touch with the property to find out when the olives and vineyards will be ripe for gathering.